In this episode, I chat with Tim Murray, father of identical twin girls. Joe: Hi there. Welcome to the 179th episode of the Dad’s Guide to Twins podcast. This is Joe Rawlinson. As always you can find me on the web at twindadpodcast.com where you’ll find the complete show notes and transcript for this episode and all previous podcast episodes. Today we are continuing our father of twins interview series with fellow father of twins, Tim Murray. We’ll share some big surprises that he had during the twin pregnancy that he wished someone had talked about before. 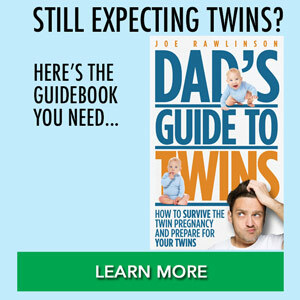 Joe: Today’s show is brought to you by my second book for fathers of twins. It’s called Dad’s Guide to Raising Twins, How to Thrive As a Father of Twins. It guides you through those newborn months, infants, toddlers, and beyond. You can learn more about this book at raisingtwinsbook.com. Joe: Now, let’s jump straight into that interview with Tim. Today I’d like to welcome to the show fellow father of twins, Tim Murray. Welcome to the show Tim. Joe: So Tim, tell us about your twins right now. How old are they and what’s the most exciting part of this age? Tim: Well they are brand new. They’ll be six weeks old on Friday. I’d say the most exciting stage now or aspect right now is literally day to day seeing the progression of how they’re able to focus and interact with my wife and I. You know, we see them everyday but when family members or friends see photos or come to visit, just sort of their remarks about how quickly they’re growing. Which I think we’ll look back at weeks, months, years now as a time where this has been pretty challenging sleep wise for us. It’s difficult not to sort of just wish away. But to see their development firsthand has just been unlike anything I’ve ever experienced before. Joe: Have you been able to take time off to be with them? Or are you already back to work? Tim: Yeah so I’m back at work now. But I will say, my employer and my wife’s employer, not just post partum but throughout the entire process, were not just understanding, but encouraging of the involvement of dads in this process. So I was able to take about four weeks of combined parental leave and sick time to be home with the girls. But as you know, I’m sure as your listeners know, with twins come many many many doctors appointments. So I was involved in all of those and was really able to take my lead from my bosses and organization here to be a part of all those. Tim: Yeah that goes without saying I think. Joe: How are you able to stay on top of work and clarity of mind, let’s say, while also helping take care of the twins at home? Tim: You know, it’s been an adjustment for sure. I feel like I’m still kind of easing my way back into playing with a full deck here at work. But you know, the line of work that I’m in is a lot of person to person contact and dealing with external clients and relationship building that way. So professionally for me, this has been actually a great conversation starter. I think a lot of folks that I talk to have been in this situation before. In that they’re a few weeks, a few months into parenthood and they take my absentmindedness sometimes with a full on understanding of sympathy and empathy. Tim: So to answer your question, it’s been a challenge. I’m drinking more coffee now than I ever have before. But yeah, to try and focus at work when I know my wife and daughters are at home, that’s been tough. But it’s kind of my job right now as the dad to be here and then when I’m home, be at home and compartmentalize those aspects. Which hasn’t always been easy for me. But that’s something that I am working on and we’re getting by. Joe: So I assume that your wife is still on maternity leave? Tim: Correct. Yeah, she’ll go back at I think 16 weeks which will bring us to November. Joe: Have you already discussed daycare, childcare options? Tim: We have. Luckily we got an early jump on the search process there. There’s a great provider right down the street from our house. In our search it was tough to find a place that had two open spaces at the same time in their infant room. So luckily, this place was A, affordable. B, convenient for our commute. And C, ready and willing to take them at the appropriate time. So yeah, they’ll start there end of November, beginning of December together in the same room. Joe: That’s great. Did you get any kind of sibling discount on the second child? Tim: So it was kind of interesting. Everywhere we went had a different policy. But sort of the running theme was, “Oh, we’ll give you 10% off period.” But then you get into the fine print and it’s 10% off tuition for one of your children. So you’re paying 100% for one and 90% for the other. As opposed to 10% off the top. So to answer your question yes, [inaudible 00:06:19] a little bit further. I wish it was more because it’s just obscenely expensive to have two children in daycare at the same time. Joe: That’s true. That’s something a lot of twin parents struggle with. Deciding, of course like you, what’s the best childcare option. Trying to get the best deal. But then even the balancing of is it worth both parents working to have the childcare expense or should one of the parents stay home? Tim: Yeah and for us it’s an important conversation that we had to have. Whether A, the time home when they’re at this developmental stage in age is so important. But financially it was a numbers game for us. To support our household and our girls in a manner that we want to, is our take home income eclipsed by the cost of the daycare option? And if it was, then we wouldn’t go down that road. So luckily for us it worked out and I can’t speak to what my wife’s state of mind will be when the time is to go back. I can only speak for my own. Which has been easier every day but never really easy. Joe: Is she breastfeeding the babies right now? Tim: So right now our daughters are … One is strictly on breast milk. The other is on a supplemented high calorie formula as she was born pretty small. So as we’ll get to a little bit later, our oldest was born at three pounds, eleven ounces. Spent some time in the NICU, and is on a prescribed NeoSure formula which is supplemented with breast milk. So that’s, at home, preparing two separate meals for each has just been occupying a lot of our time. So yeah, we’re on both sides of the street. Joe: So what is your role in feeding time with the girls? Tim: Right now during the day when both of us are around it’s easiest to feed them at the same time. You know, one of us takes one, the other takes the other. And then you know, you change, sort of wake them up if they’ve been sleeping and then feed them. They’re both bottle feeding primarily. My youngest, or the second born, often times will go with my wife and breastfeed that way. Which means I spend a lot of time with the oldest, the smaller, bottle feeding formula. So I’m very involved in that process during the day. Tim: At night, when we’re trying to catch up on some sleep and it’s a two on one situation, we really try and stagger our feeding. So while it may take a little bit longer, you’re not dealing with one apoplectic baby who’s not being fed but starving while you have your hands full feeding the other. So that seems to work for us pretty well, the last few weeks especially at night. Joe: That’s good. It sounds like you have a good system there. I’ve heard from other parents as well that they’ll have kind of like you, different schedules, one for the day, one for the night to help accommodate feedings and giving the parents some rest and rotational duties and things like that. So it sounds like you’ve fallen into a good rhythm. Tim: Yeah that seems to work pretty well for us. Especially coming out of the hospital when they recommended they eat minimum every three hours to kinda be able to stagger that time to best work with our schedule. And sanity maintenance has been a challenge but I think something that we’re starting to kinda settle into a routine now. Joe: Are your girls waking up naturally every three hours or are you waking them up to eat? Tim: It really varies by day. Right now I think they’re entering into a bit of a stage where they’re sleeping a bit more and eating more at each feeding time. We track all of their meals, when they eat, how much, what they eat, in addition to all of their diaper changes. So we’re kinda finding that, right now, or probably in the last 10 days or so, is they’ve shifted to maybe one fewer feeding per day but longer stretches of sleep throughout the day. So hopefully there’s some light at the end of the tunnel of kind of making those longer stretches occur at nighttime. Joe: Excellent. Well let’s rewind the clock back to when you find out that you were having twins. What was that experience like for you and your family? Tim: It was a unique experience for us. We found out … My wife took a pregnancy test on Christmas morning. So she got up, got out of bed on Christmas morning when we were preparing to go be with our families all throughout the day. And she goes into the bathroom, turns the shower on, and then immediately turns the shower off and comes back into the bedroom and I thought something was wrong. But you know, she comes in and she’s crying and has the test there. So then we sort of needed to compose ourselves and then go see our families all day long. So that presented a bit of a unique day. Tim: Or that everything was okay with our baby. And the doctor does her thing and then turns on the ultrasound, and I think, probably because these physicians and these medical professionals see these sorts of things so often, they’ll sometimes miss their mark when they reveal some information that for us, is life-altering. And for them, may occur multiple times a day. Tim: And so from the beginning, this was an unusual process for the both of us. And then as time went on, we got a little more specifics about the type of twins that we were having, and some expectations that we could anticipate throughout the process. But not as many as I think we would have liked. Joe: So what were some of the surprises that you had along the say, of the twin pregnancy? Tim: Well, I think it was shortly after we found that we have two, discovered during one of the ultrasounds, is that our twins were what were called mono di, which had I idea what that was. And going into this, we thought that there were types of twins, there were identical and fraternal, and that was it. Doctors called them mono dis, essentially meaning that they were in two different sacs, but shared one placenta, one energy source. And along with that, came some higher risks of one of the babies developing more than the other, or taking some nutrition that the other could use. And I think the worst thing that we did after finding that out, was to Google that information because if you’ve ever had an upset stomach and you go on WebMD, you immediately think that you have some sort of terminal disease. Tim: So I wish that there was more information out there in layman’s terms about what this means and what your expectations were. And for us what it meant, was some closer monitoring, much earlier on in the process, weekly doctor’s visits, ultrasounds through our specialist, the maternal fetus medicine office close by, where they just kept a close eye on the blood flow to their brain, their doppler readings, their growth, and everything. Tim: So that from the beginning was a surprise for us. But when they do these measurements and expected size throughout the process, those are an inexact science for sure. And as gestationally they get larger, those measurements become more inacurate. So we went into the hospital with the expectation that our babies would be around five or six pounds, and low and behold, our first born was 3 pounds, 11 ounces, and our second was four pounds, nine. Also, we weren’t totally prepared for some of the aftermath of having two babies in discordant sizes, and what that really meant. Joe: Our girls were modi as well. Did you have other complications during the pregnancy for mom, besides what was just going on with the babies? Tim: Yeah. As the process went on, with such frequent doctor’s visits comes frequent ultrasounds, blood work, and blood pressure monitoring. So as we got closer to the 30-week timeframe, my wife’s blood pressure was trending upwards. So that necessitated an additional doctor’s visit every week until they were born ultimately at 36 weeks. So for the final six weeks of pregnancies, we were minimum at a doctor’s appointment twice a week. Basically one for the babies and one for mom. So our labor story started, we went to the Maternal Fetal Medicine office for a stress test in the 36th week. The babies looked great, but at the same time they were, as I mentioned keeping a close eye on her blood pressure. The doctors saw something that they didn’t totally like, so they admitted her to the hospital for some time in the triage area to do a long monitoring of her blood pressure. And they didn’t see any spikes or anything so they sent her home and said come back in two days. Tim: So we came back in two days, non-stress test again babies looked great, blood pressure still a little high, three hours on the monitor. They said, “Alright. Well come back tomorrow.” So come back the next day. Non-stress test babies look great, blood pressure unchanged and then we didn’t leave the hospital for six days. Tim: So that was something that I know was a frustration for my wife because leading up through those six weeks or so, she wasn’t on bed rest per se, but the doctors really recommended that she limit any kind of unnecessary physical activity. So much so, that when we commute in together for work, as we each have about a quarter-mile walk to our offices from our parking garage, I would drop her off and pick her up right in front of the office. All grocery shopping I would do. So it was basically from her office desk, to the car, to the couch, and that was that. Tim: And when those remedies weren’t taking the edge off of her blood pressure, the doctors got together and said, “Look, at this stage we think it’s best for mom and the babies that they’d be healthier out than in.” So at 36 weeks and two days, we had our identical twin daughters. Joe: So did your wife work right up to that point? Tim: She did. Yeah. And actually one of the weeks shortly after we were home, her lunch was still in the refrigerator from that day. So I took a spin down to her office just to clean some things up, but yeah, she was there up until the day right before. Joe: So you went in for a regular check-up, and then it was like, okay, it’s time to have these babies? Tim: That’s correct. Yep. So luckily, we had been a bit proactive with getting the car seats installed. We had our hospital go bag in the car at all times, because we knew, I think in the backs of our minds, that this was a possibility. But I don’t know if we ever fully prepared for the possibility that we’d go in for a 10:00 a.m. non-stress test and doppler reading, and then not go home for a week. It’s something I wished that we had maybe internalized a bit more leading up to that week or so. Definitely something I would recommend people understand that this is absolutely a possibility, that you could get a referral from your OB, and then immediately be in the hospital. Joe: That’s very similar to what happened to us. Our girls were born at 36 weeks as well. We went in for just a weekly check-up. I took off of work for that hour to go be with my wife to go, and just like you said, they’re like “Okay. These babies are coming. So you should go over to Labor and Delivery.” And it was like, oh wait, hold on. I was expecting to go back to work. Unlike you, we didn’t have our go back in the car or anything like that. So it was a scramble. Tim: It really was. We left the appointment and I ran upstairs at my office to just grab a few things before we headed over to the … well the hospital is on the way to the hospital. And my coworkers, who I’ve since chatted with since I’ve been back here, were like, “You looked like you just saw a ghost. You were in shock.” I don’t even remember the specifics of that time. It was just a blur. And then saying, alright, this is happening today. And then it happened. Joe: So tell us about the delivery. Was it what you were expecting, or were there some surprises there as well? Tim: I don’t know if I had any expectations for our delivery, but if I did, our actual experience was much different. So you leave your appointment, and you think, alright, they’re going to just put her in a wheelchair and this is going to happen this afternoon. So that was on a Wednesday morning we went in. And things moved a lot slower, at least for us, than I thought they might at the hospital. Tim: So we were admitted to this area of the hospital they call maternal special care, which is basically a waiting area for some area on the labor and delivery floor to open up. And so we thought we’d be there for a little while, we’d go down and start the process. We were in that room for over 24 hours. And in that time, they started a couple different processes to begin the induction process. I think a Foley balloon was the first piece. That was in place for about four hours to start the dilation process. And then we waited. For whatever reason, there were multiple kindergarten classes worth of children being born at the same time that we were admitted, many of whom were caesarian births. And that wasn’t a part of our plan just yet. Tim: So we had to wait for some clear out. So a day goes by, and then they finally have some space for us in the labor and delivery floor. And they administer Pitocin to begin the contractions. And it worked great. Unfortunately it got to the point where she was at the highest dose, contractions were coming very frequently, and there was only one doctor on call at that point. This was about 2:00 in the morning, and he had an emergency caesarian birth to deal with. And so he turned off her pitocin, which started everything back to zero. Tim: So 48 hours in at the hospital, and we’re back where we started. So the next day another doctor comes on call, and they put us at the top of the list. So they start the Pitocin again, contractions get a bit intense, my wife had an epidural administered, and then by 7:00 a.m. the following morning when they changed shifts again, the doctor comes in and says you’re fully dilated and the girls were here 90 minutes later. Tim: So everything was very slow, and then very fast at the same time. Joe: Yeah. So it sounds like your girls were in a good position then, for a vaginal birth? Tim: They were. And that’s exactly what happened. That was our plan, and the actual birth itself couldn’t have gone any better. I guess one of the risks with trying for back-to-back vaginal births is that the second will get turned upside down, or in a position where that’s just not an option. So, for all you lucky contestants out there who had a vaginal birth and a caesarian, got to bless you. But no, for our girls, the first one came out and she was the smaller of the two, and then she was born at 9:45 in the morning, and then her sister showed up at 10:15. Tim: Less than two hours after we had been already admitted to the hospital for a bit more than two days. It was a quick ending to a long .. a long lead up. Joe: How were you able to interact with your girls at birth? Tim: This is an area where I wish we had had a bit more insider information in that we knew that spending some time in the NICU was a possibility, but I don’t think anybody ever told us really what does that mean? And what is the cut off? How do you determine who winds up there, who doesn’t? What’s the process? I think these are questions I think that we wished we asked, or knew to ask for the hospital staff and definitely for our OB throughout the process. Tim: But I was able to right in there in the delivery room, which was one of the most unbelievable experiences of my entire life. Our first daughter comes out, she is in perfect health, but just … they’re small. They weighed her, they said she weighs three pounds, eleven ounces. They cleaned her up while my second daughter was being born and then by the time we were ready to leave the delivery room, they said, all right, we’re taking June, our oldest, our firstborn, to the NICU and then here is your second, here’s Abby, and then we just parted ways. Tim: So I wish that there was a bit more clarity on why she wound up there. It turned out the cutoff, at least at our hospital, for admittance to the NICU was weighing two thousand grams, so when she came in at about sixteen hundred, that was the trigger for her to head up there. Our second daughter was 2,065 grams, so she was just barely at the cut off to come with us to the post-partum floor. Tim: I think the hardest part started then and lasted until June came home with us. She spent 11 days in the NICU, as what they called at our place, a feeder and grower. So, respiratory wise, she had no issues. She had no other developmental things to be concerned about, it was just her low birth weight and the fact that most babies lose close to 10% of their body weight within the first few days, set her back even further. 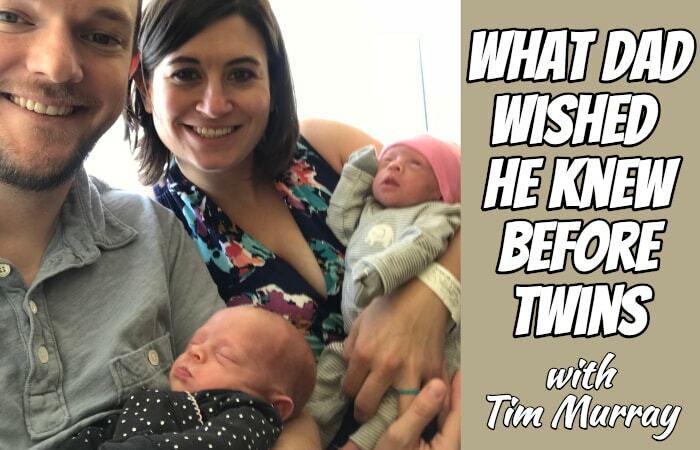 Tim: So sort of splitting our time in the hospital between the post-partum floor and the NICU, which was four or five flights up in another wing of the hospital, I know was hard for me. It was even more difficult for my wife, who was kind of bedridden at that point, and then when we were discharged with Abby, our second born, trying to find a process … like how do you load a five day old baby into a car seat, who’s barely four pounds and then bring them to the hospital or find someone to watch her at home while you go see your other daughter. Tim: So for us, I think, it was really hard to be both celebratory and excited, but also more concerned about anything you’ve ever been concerned about at the same time. I think that was tough for us. I know it was very hard for our families because all they wanted to do was come over and bring macaroni and cheese and celebrate and support us when we were in a place where we knew was a temporary holding pattern and something that we just needed to get through. So that was a trying time, but all’s well that ends well. Everybody’s home, everybody’s healthy, everybody’s a milk monster now and just plowing through diapers. So, for anybody who’s in that situation, it is hard and I get it. It goes quick. While the days seem to last forever, it goes by fast. So, just hang in there. 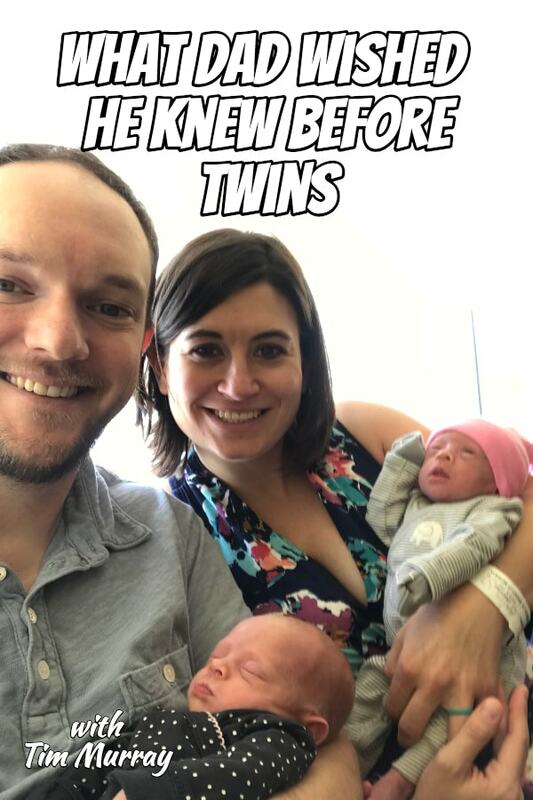 Joe: So once you went home with your youngest, what was your typical schedule like while your firstborn was still in the NICU? Tim: You know we would try to go … everyday we’d say, all right, we want to be in the car by 10:00a.m. to try and get down to the hospital before sort of the lunchtime rush. The hospital is about 20, 25 minutes from our home, which typically meant day to day, as we were out the door by about 1:30 or 2:00, because that’s sort of how it works. But our schedule was just that we were trying to get our daughter at home to be on the same feeding schedule as we knew our daughter in the NICU was on, which, I think, was every three hours at 12, 3, 6 and 9 she was eating. Tim: So, we tried to maintain a similar same schedule at home so that when both girls were with us, that there wouldn’t be too much of a shakeup there, but as you know, the best laid plans don’t always work out that way. So it was a lot of trial and error whether we should let her sleep, whether we should wake her up to eat. She wasn’t always eating the amount that the doctors recommended for her and other times she would eat twice as much, so it’s just sort of the fear of the unknown. What are we doing trying to make this work at home knowing that our schedule would change when our other daughter would join us was tough as well? Joe: So when the time came to bring home your oldest, how was that transition like from having one at home to two at home? Tim: Immediately, we felt as though we were kind of a complete unit, finally. But, with one of our daughters needing formula, the other relying primarily on breast milk, our daughter who had been home has now graduated on to newborn diapers while our youngest daughter is still in the preemie size, so it’s two very similar cases that have a lot of distinct differences. But right from the beginning, we kind of felt as thought this was a kind of divide and conquer where we would take one and focus on them and then my wife would take the other and do it that way. So we’ve kind of found this unique dynamic between my wife and I where we spend a lot of time in the same room, but … we were even saying to each other last night, we miss each other. It’s kind of a weird circumstance where you spend a lot of time together, but you don’t spend any time together, if that makes sense. So it’s just finding our routine in this new normal, which has been just unbelievable. Joe: It’s true, you’re both there. It’s like you’re both zombies in the same room. You’re sleep deprived, you’re engaged, you know, busy taking care of the child that’s right in front of you and so while you may be physically in the same area, it’s hard to connect. Joe: Have you found any ways to keep the relationship going, I mean just now with the newborns, but through the pregnancy, how to keep your marriage strong? Tim: Yeah, I mean we’ve made it a point, really, throughout our entire relationship to … no matter what’s going on at work, to just take time for the two of us. Now that’s been a lot more difficult now, but even throughout the pregnancy … we got married in April, so we went away for our anniversary. My birthday’s in three weeks, so we already have Grandpa, my dad, lined up to watch the girls while we have kind of a half day out on the town, which is something for us to look forward to and also kind of keep that relationship going. But I think just our acknowledgement that we’re in this together and yes, this is a life-changing thing, and yes we’re not sleeping, and yes things are absolutely insane, but this is all temporary, has kind of kept both of us grounded. When one of us starts to kind of spiral and kind of get crazy to reel the other person in, and in a way that, just for having been married for going on three years, and being together for twice that long, you kind of know what processes work that way and what buttons absolutely not to push. Joe: Fantastic, that’s good that you have something to look forward to, a little getaway and you’ve got some help that is willing to come in and help with the girls. That’s always our challenge is like we need to go, we need to get away. And we’re like, okay, who’s going to watch the kids? Tim: Well, and who’s going to watch two at the same time who are a handful of weeks old. That’s a tall order for anybody and it’s, I think, in our nature is to not impose that on folks, but I think that’s becoming less of a challenge for us because people’s willingness to see them and watch them really takes a lot of the sting out of that ask. Joe: Well Tim, as we wrap up today, if listeners would like to get ahold of you, what’s the best way to get in touch? Tim: I’m on Instagram on tjm921. You can find me on Twitter, I’m at tjmtowit or shoot me an email, I’m at [email protected] I’m happy to share some specifics and kind of throughout our process here and then if you have any words of encouragement or advice, please feel free. Let me know. Joe: Thanks again Tim for sharing your story. Tim: Joe, thanks so much. Joe: I hope you enjoyed that chat with Tim about some of the challenges that he and his wife had during their twin pregnancies, some of the surprises that they had, and some of the things that they wished they had learned beforehand. Do you want with Tim? I’ll link up to his social media and contact information over in the show notes of this episode at twinnetpodcast.com. Joe: If you’d love to share your twin dad story on the podcast, just drop me an email [email protected] and I would love to have you on the show. Thank you so much for listening and I’ll see you next time.